It got its start in 2009 because its founder, Rachel Crandall, believed we needed a day that was the polar opposite on the TDOR that focused on the folks who are living and our community successes. One of the points I wanted and needed to drive home on this day is that visibility matters. It is only because we have come out of the shadows, told our stories and gotten more politically active is why we have made the societal progress that we have made and the hatemongers see us as a threat worthy of spending millions to oppress. Trans rights are human rights. They know it, we know it, and we have the facts and the moral high ground in this human rights struggle. Black trans folks are also leaders, and it's past time the TBLGQ movement recognized that and the undeniable fact that if they want to win this human rights fight, it will be needed and necessary to hire us and pay us for our talents and abilities. If you don't wish to do that then don't get mad or upset when we build our own leadership tables. So stand tall, be proud and when you're comfortable to do so, be visible. It's took a while for ti to happen, but the news finally dropped that TLC has renewed I Am Jazz for a third season. In Season 3 we'll see her taking on conservative commentator Tomi Lahren (or maybe not since lahren is suspended from The Blaze) , trying to deal with all the issues of being a teen in addition to the aspects of it brought on by transition. Little did I know when I wrote my innocent tweet that it would start a Twitter dragging in which myself, Alvin McEwen of Holy Bullies and Headless Monsters went in on this fool Peter Boykin,the head of Gays For Trump, with another gay conservafool jumping in to dig the hole even deeper for themselves. Note the racist response to the original tweet. As James Baldwin pointed out in a 1984 Village Voice interview, the gay world is no more prepared to accept Black people than anywhere else in society. We as also painfully aware of the fact that in elements of GLBTQ world, there are folks who are part of this community who can be just as racist, biphobic, transphobic, sexist, misogynist, homophobic as their cis straight counterparts. When they combine that willful cluelessness with swimming in white privilege, they come off as even more douchebaggy. Being part of the LGBTQ community doesn't change the fact that you by dint of your white skin have more privilege than any POC member of the community ever will. One of the ridiculous comments Boykin deployed early in the thread was holding up his biracial boyfriend as 'evidence' he wasn't racist, even though he'd already demonstrated it by the racist meme he aimed at me in addition to being the president of the Gays For Trump, and making the statement in favor of continued NC discrimination aimed at transgender people which is why I wrote the Twitter comment aimed at him and other like minded gay and lesbians in the first place. And you point in doing so? Strom Thurmond had a Black daughter, but that still didn't stop him from being a lifelong segregationist and fighting mightily until he died to oppress her and her people. Ann Coulter is dating Jimmie Walker. 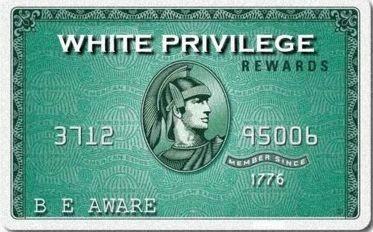 Dating a non white person is not a get out of jail free pass to keep you from getting dragged for your casual racism . But all your facts free ranting did was prove my point that some of you white gays and lesbians are not only bigger human rights oppressors than the GOP, you are gleefully participating in pushing unjust legislation for whatever self hating reason. And once again, if you voted for Trump, especially if you're trans, you are a sellout to this community who voted for your own oppression. When the GOP is done messing with trans folks, they will be coming to repeal your rights including your hard won ability to get married. . Your pink sheets are showing, so don't get mad when the people who that unjust legislation is being aimed at call you on your crap. 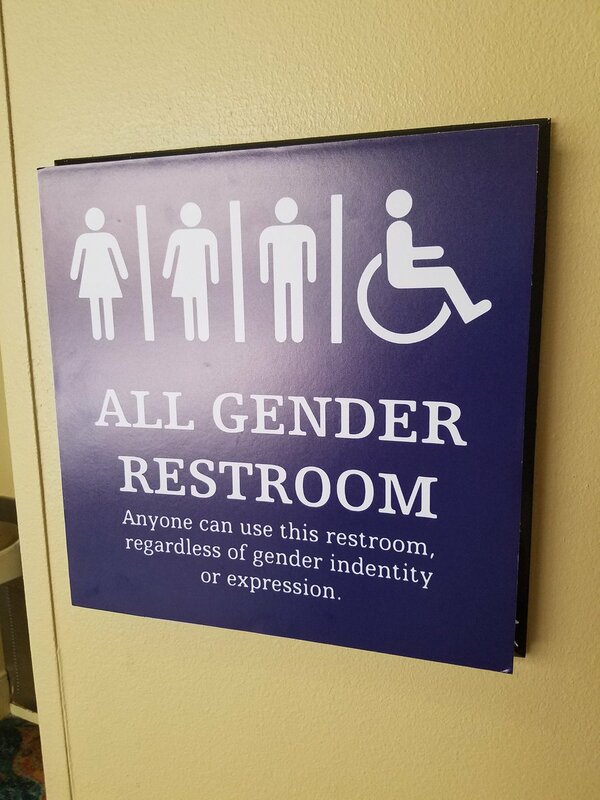 Our Republican controlled Texas legislature is still in session, and in addition to watching the Texas Transgender Oppression Act (SB 6), we are watching other unjust bills like SB 4. 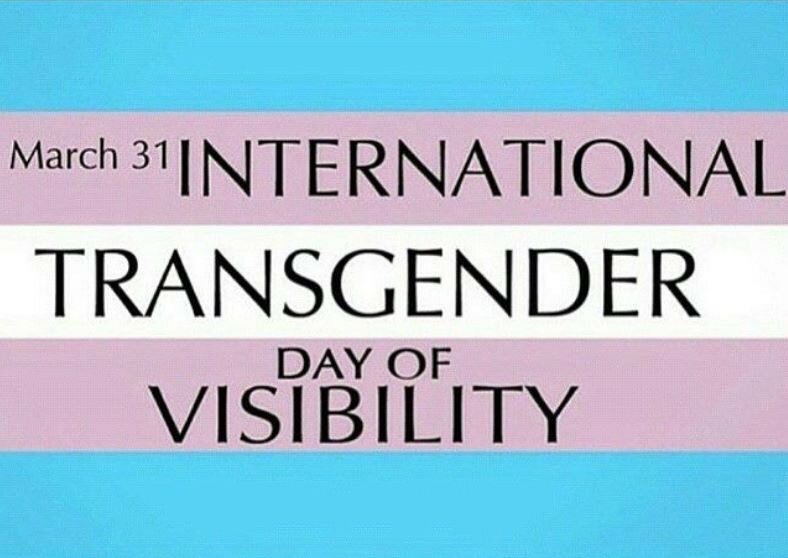 Because the Transgender Day of Visibility (TDOV) is happening tomorrow, an event is happening starting at 6 PM. In light of the continued violence exacted upon our Black sisters, the atrocity that is S.B. 6 that continues to demonize trans women, and the silence about the loss of Black lives coming from Washington In light of the interdependent systems of disadvantage that affect the Latina trans community, the atrocity that is S.B. 4, and the anti-immigrant rhetoric coming from Washington. Women and Allies and Pantsuit Republic Houston are hosting this fundraiser mixer at Dan Electros on Thursday, March 30 (on the eve of the day for trans visibility, March 31). The purpose of this event will be continued education and awareness of the struggles of the Trans community in Houston. It will be a great opportunity for all of us who do not know members of the Trans community to mingle and get to know more of our family in the fight against injustice. Let's join them and other progressive organizations around town in support of a group that is continually marginalized! RSVP now! And invite all your friends! The address of Dan Electro's Guitar Bar is 1031 E. 24th Street in Houston. Looking forward to seeing you there. Well, this latest award for my nearly 20 years of trans advocacy work is coming from an unexpected direction and organization in the Human Rights Campaign. Yep, HRC. And yeah, many of the folks in HRC Houston know that along with my longtime readers at times I have been one of the organization's harshest critics. I'm getting the John Walzel Equality Award at the upcoming Houston gala on Saturday April 1, and nope, this isn't a TransGriot April Fool's Day prank. Who was John Walzel? He was a native Houstonian, Bellaire HS grad and the owner of Walzel's Houston's oldest fine jewelry store that was founded by his father in 1944. Walzel was also active in social justice and LGBTQ rights issues in Houston. He was not only an active member of HRC and sat on its Board of Governors, but supported other causes like the AIDS Foundation Houston, the Center For AIDS, DIFFA, and the Houston Black Tie Dinner. He was also politically active. He supported Chris Bell in his unsuccessful bid to become Houston's mayor, Annise Parker when she successfully ran for city council, former President Bill Clinton and former Vice President Al Gore. Walzel died at age 50 while on vacation in New York in June 2002. It's really happening, and HRC Houston was serious about wanting to honor the work I've done and will continue to do on behalf of the TBLGQ community. 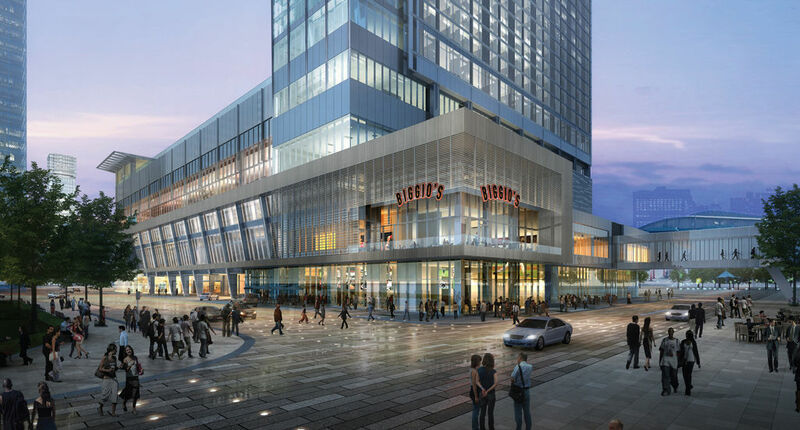 This year's gala is happening at the new Marriott Marquis hotel on the other side of Discovery Green in downtown Houston, and looking forward to seeing a few people this Saturday.. The Oakland based Trans*H4CK will be sponsoring a TDOV discussion moderated by Dr Kortney Ziegler entitled 'On Being Black and Trans in The US'. The panelists are A. Dionne Stallworth, Jevon Martin, Michael David Battle, Lynx M'Chea, Deja Sparks, Preston Martin and Lourdes Ashley Hunter. This International Trans Day of Visibility, Trans*H4CK celebrates the lives of Black Trans Americans. In this live video panel, you will hear from black trans, black gender non conforming and black non-binary folks covering topics such as: Cross gender coalition building; Black Trans mental health; grassroots activism; ways to self-sustain as a black trans person with our current administration. RSVP and join the discussion live on The LOFT March 31st at 10:00 AM PDT. The discussion will start at 10 AM PDT (11:00 AM MDT, 12;00 PM CDT and 1:00 PM EDT) and looking forward to hearing the discussion. 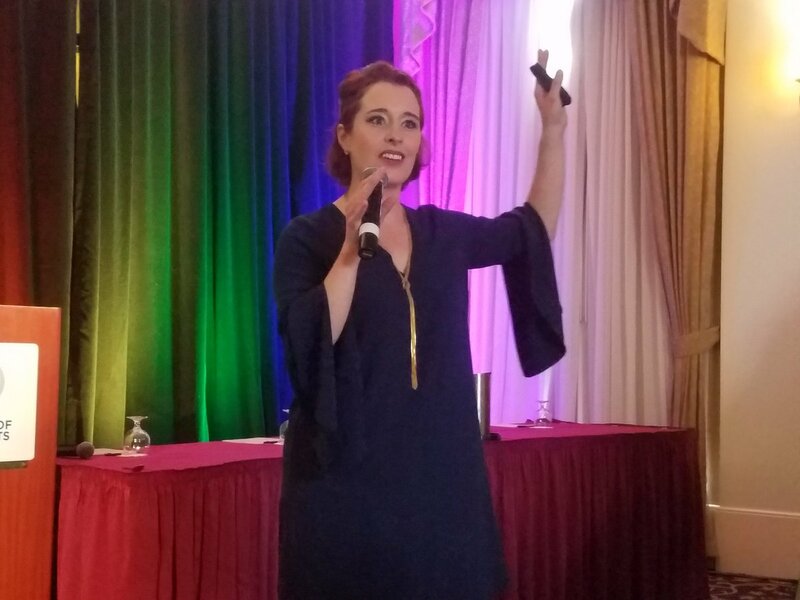 As you TransGriot readers were aware of, I've spent the last several days in Central Florida getting my learn on at the 8th annual LGBT Media Journalists Convening. It's one of my fave events, and I get to spend some quality time with my media fam in addition to get my learn on about the issues impacting our community in different parts of it. Many of the premiere bloggers and journalists of our community were in the Rosen Centre Hotel house including four of the five nominees for this year's GLAAD Best Blog Award. 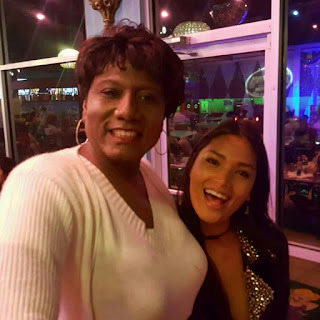 The trans media fam was in effect with birthday girl and my suitemate Dawn Ennis, Gwen Smith, my Houston homegirl Cristan Williams, Brynn Tannehill, Meredith Talusan and Lewis Wallace. I also got to spend quality time with and get to know people like Derrick Clifton, Jahnell La Mara Johnson, and Rosalind Bentley.with the amazing Lizz Winstead, who was our MC for the weekend, and kept the panels running on time. Thursday night our mixer event was held at Mango's Tropical Cafe where we go to enjoy some great food and even better conversation. It was nice hanging out with Joe Jervis and Colin Murphy and getting to talk to Andy Humm about community history. I also got a chance to hang out with my Orlando via Texas homegirl Melisa Gomez, meet Elixher's Associate Editor Jahnell La Mara, see old friends like new BiNet USA president Lynnette McFadzen, Trish Bendix, Ebone Bell, Fiona Dawson Zack Ford and Mary Emily O'Hara while eating some wonderful food and min lava cakes while seeing their show from a TV screen in our VP area that had a trio of Michael Jackson impersonators. 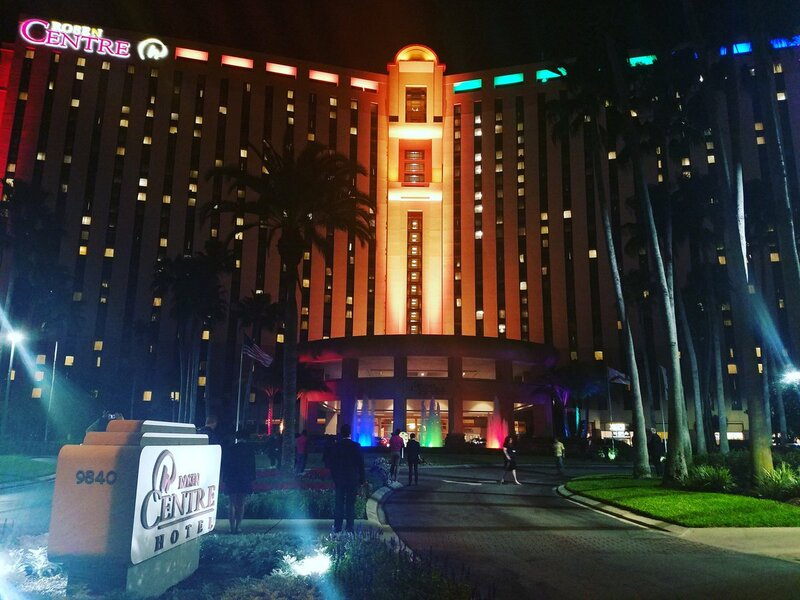 We also got to see upon our return to the Rosen Center Hotel from our excursion to Mango's the fountain in front of the hotel lit up in the rainbow flag colors in honor of our event being there. In addition to the extra day of informational panels and talks we were doing this year, there was also a new feature being initiated for this year's event in which we paired at a table with veteran and newbie attendees so the newbies didn't feel left out. The topics covered in those talks were Objectivity Is Dead by Lewis Wallace, International News Coverage Begins At The Source by Michael Lavers, Journalist Or Accidental Tourist: Covering International LGBTQ Issues by Roberta Sklar, Visual Storytelling: A Guide To Showing Not Telling by Steve Johnson, When It Was Made About Me , I Learned It Had Nothing To Do About Me by Jana Shortal and we closed out the morning talks with Beyond Murder: Covering Transgender People Of Color by Meredith Talusan. We LGBTMedia attendees were also tweeting the proceeding via the #LGBTMedia17 hashtag, which we were proud to discover within an hour after the morning talks started, was the number one hashtag on Twitter. 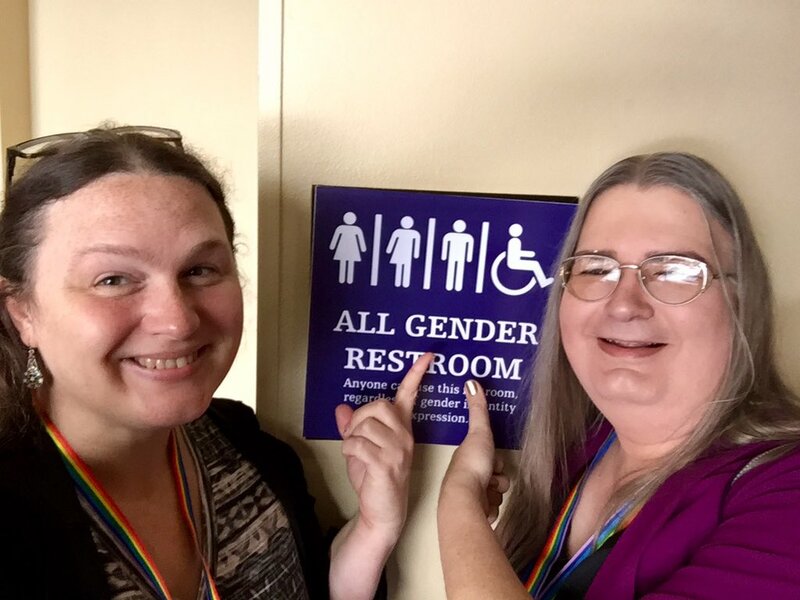 We were also happy to discover during lunch that our gender neutral restroom sign was not only well received by other people sharing the hotel with us and being used, it was sparking conversations. After lunch we had two deep dive sessions scheduled to run from 1-2:45 PM to choose from that lasted 45 minutes with a 15 minute break to switch between session if you wished. After a snack break in the main meeting room from 2:45-3:15 PM we began the Afternoon talks in which the topics covered were LGBTQ Equality and Religious Freedom: You Can Have Both by Sally Steenland, #PopCulturePivot by Twanna Hines, Highlighting Experiences of Family Members Of Transgender People by Brynn Tannehill and to close out the business end of LGBTMedia Day 1 Audience Engagement Is Like Dating by Joy Mayer. After remarks from our MC Lizz Winstead, we had a break from 5:30-7 PM before we returned to Salon 3 for dinner, drinks and a speech from Atlanta mayoral candidate Cathy Woolard. Something I ate at breakfast that morning didn't agree with my stomach, and I left early during Cathy Woolard's speech to retire to my room and purge whatever was upsetting my stomach. I got over it, but it kept me up most of the night as I made frequent trips to the porcelain throne room. So after that mostly sleepless night, my phone alarm rang way too early to start Day 2 of LGBTMedia17 After breakfast, we started Day 2 at 9:30 AM by talking about one of the things that was on everyone's mind since we were here in Orlando by discussing the PULSE club mass shooting attack. The Covering Pulse panel featured Jeff Truesdell, Billy Manes, Erik Sandoval and Meredith Talusan. It then moved on to introducing Ricardo Negron-Almodovar, who as a survivor of the Pulse attack told his perspective on what the media, and specifically the LGBTQ media got worng about their PULSE coverage and his hope it gets corrected before the looming one year anniversary of it on June 12. Ricardo was also given extra time to talk because our MC correctly thought it needed to happen. Intersectionality is s topic that can't be discussed in 5 minutes, and it was something that myself and several people tweeted about in terms of wishing that it was a subject for a deep dive discussion. Well, you know the old saying about putting something out in the atmosphere with the hope , speaking it into existence and it will happen? We did so on the intersectionality topic and were rewarded with an intersectionality deep dive discussion moderated by Derrick Clifton. But it was starting at 1 PM, so i had to finish my lunch a little faster than I would have liked in order to get back down to the Signature 1 main room where Derrick's session was happening. It was a needed and necessary topic added in addition to the previously scheduled #StoryScience one by Sheehan and Christiano and How To Build Audience By Watching Movies and TV by Twanna Hines. Moya Bailey talked about via video Social Media and Social Justice Ethics, and took some questions from us before we moved on to the next topic .Prophecy and Proof: How A Half Century of Medical and Media Narratives Came To Define Transgender People by Bethany Grace Howe. Mary Emily O'Hara then took the podium to talk about Creating and Owning A New Beat. Fiona Dawson then took the podium to discuss Leveraging The Intersection of Advocacy and Journalism. She laid out in her discussion how her story about Logan and Laila Ireland eventually led to ending the ban on trans military service. 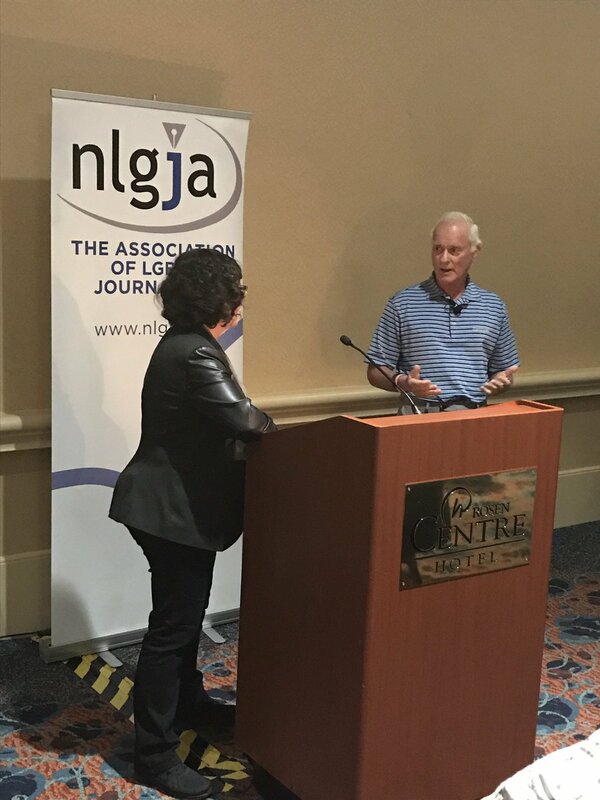 The final afternoon talks of LGBTMedia17 covered the topics of the Power of A Single Story by Rosalind Bentley and my Texas homeboy David Taffet discussing Covering A Murder When The Story Leads Back To Your Office. 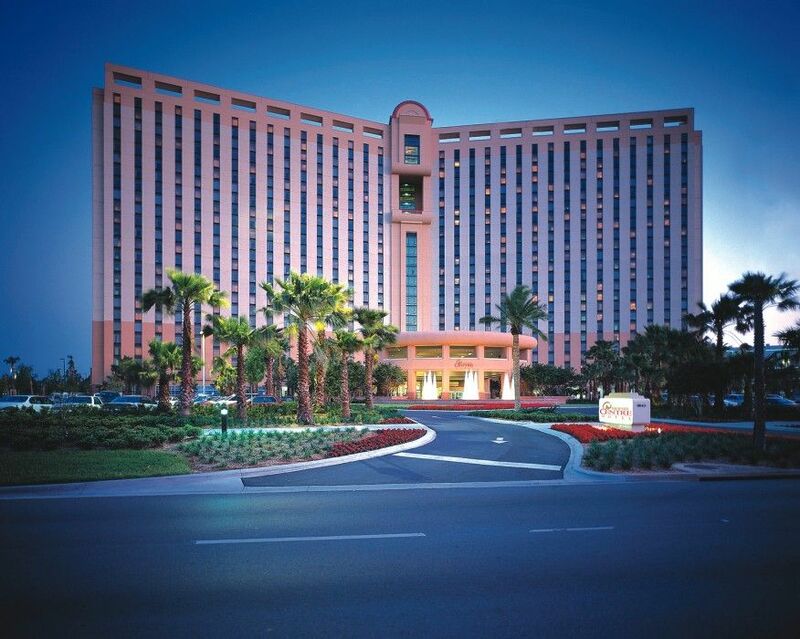 After filling out some evaluations and some down time taken either in poolside conversations or retreating back to our various rooms to get ready for out on the town forays later that evening, we gathered in the Rosen Center hotel lobby at 6:30 PM to board the buses again. 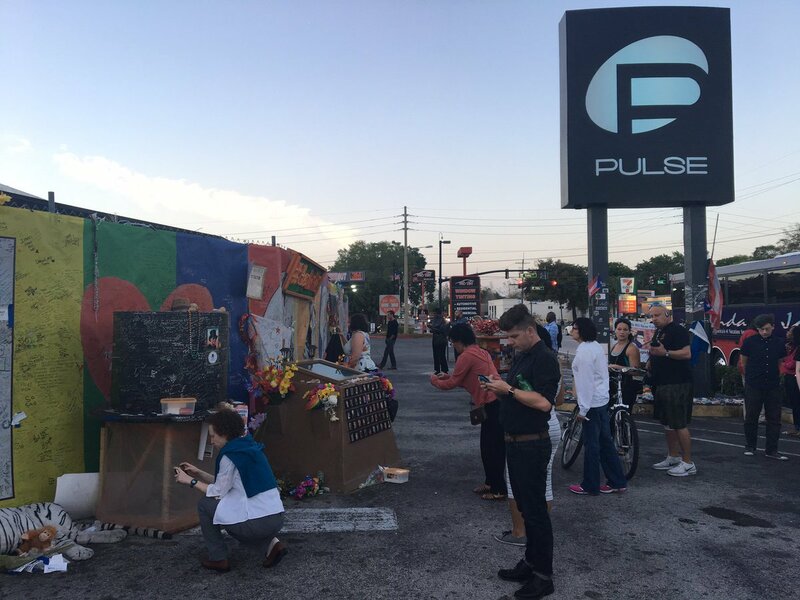 We were traveling first to the PULSE nightclub to pay our respects to the 49 predominately Latinx people who died there, and then head to dinner in downtown Orlando at Kres Chophouse. I and my dinner companions after being seated at the chophouse began to have discussion ranging from classic Black movies to neo-soul artist to me doing an impression of Anika Noni Rose's Grace Makutsi character from the short lived HBO cable TV series The No.1 Ladies Detective Agency. News flash, I do have a sense of humor I unleash upon the world at times. While some of us headed back to the hotel, others headed to The Parliament House or Southern Nights for a well deserved night on the town. When we got back, I satisfied my Slurpee craving since there was a 7 Eleven less than a block from the hotel and paired it up with a slice of the pizza from the deli inside the Rosen Center hotel for a midnight snack. Then I settled down to do some writing before I flipped the TV to SportsCenter to see how my NCAA men's and women's brackets were doing. .
Sunday dawned with us gathering near the pool to have brunch and say goodbye to each other until we got the chance to see each other again either at some upcoming conference or next year's #LGBTMedia18 event. Definitely looking forward to #LGBTMedia18, wherever it happens next year. 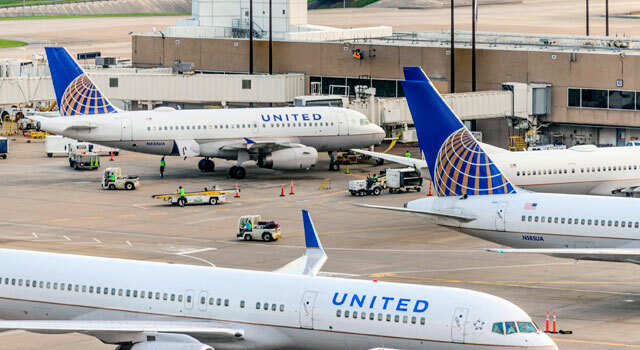 I worked in the airline business for 14 years and transitioned in the middle of my time there at IAH's Terminal C. One of my perks as an CAL airline employee was reduced rate non-revenue travel on mine and every airline on the planet that we had an interline agreement with. And yes, Moni did her share of domestic non-revenue travel of which I will expound upon in future TransGriot posts in terms of the joys and pains of airline travel while trans in the 90's. I was a gate agent, CSR and a gate supervisor during my time with Continental, which meant that one of my job duties was to enforce the dress code for pass riders. When I started at CAL in 1987, the employee pass policy of the time stated employees had to wear business attire, regardless of whether we were sitting in coach or first class or doing business or leisure non-rev travel. That meant suits and ties for the guys, dresses, slacks or pantsuits with hose for women. When that policy was crafted, flying was considered a luxurious and status filled way to travel, and people dressed that upscale way when they did so. It also made it easier for employees to get bumped up to first class if those were the only available seats left to put non-revs in on a full flight. 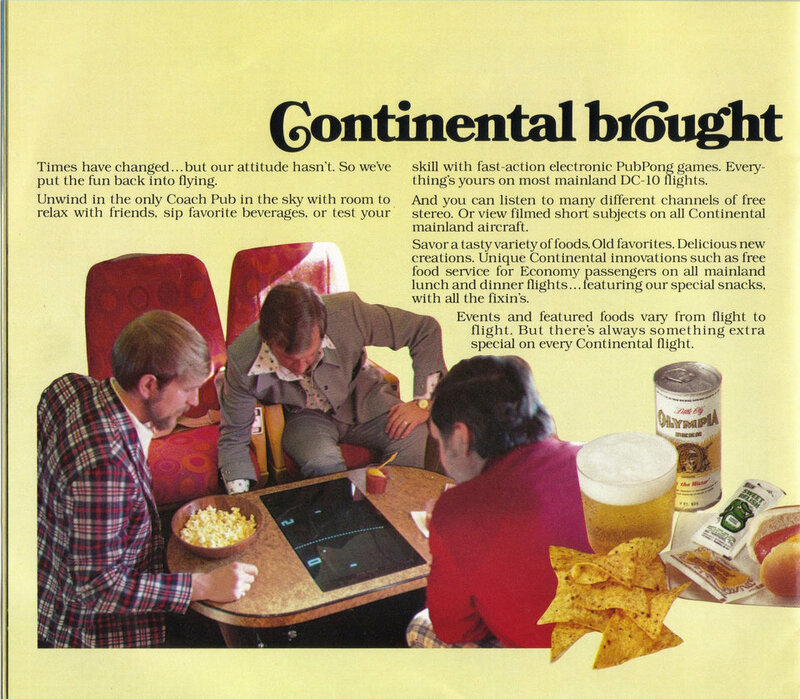 But because the airline business was changing in early 1987 and becoming a more common way to travel, folks in both classes of service started dressing more casually to do so. The advent of frequent flyer programs like our OnePass one made upgrades happen more often, and us more formally dressed CAL airline employees following the company pass policies of the time stick out like sore thumbs when we non-revved on flights around the country and the world. The policy was changed so that we could dress in a more business casual style, but you still had items that we CAL employees couldn't wear when we did partake in non-rev travel. When the buddy pass program was implemented in the late 90's, that company pass policy and its rules also extended to the people that we allowed to travel on our passes. 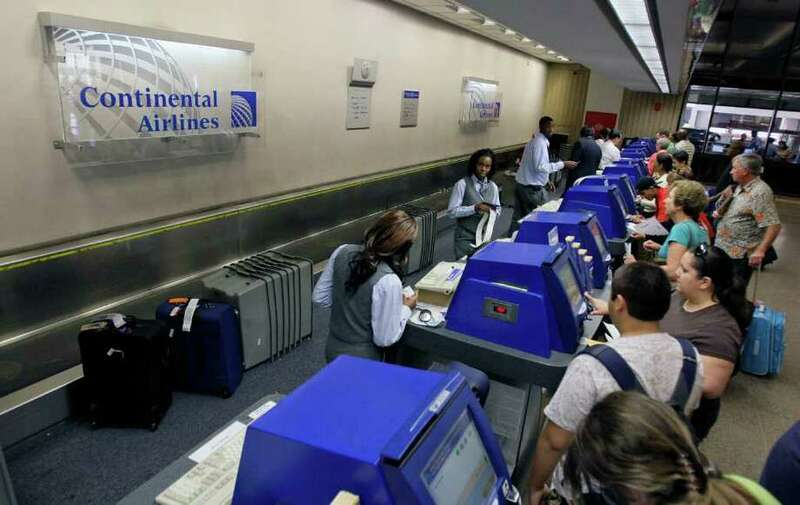 If they violated them, the punishment could extend to suspension or in the case of an egregious violation of those policies termination of buddy pass and non-revenue travel for the employee. So yes, I was extremely careful about who I gave my ten buddy passes per year allotment out to, and in many cases when possible and I wasn't working, I traveled with the buddy pass rider to ensure they followed our airline's non-rev policies to the letter. Non revenue travel can also be stress inducing at times for the employee and the gate agent working the flight, especially if it's to a popular destination or during holidays. which is why I actually do more flying now that I'm not in the airline business than I did when I had the ability to fly around the world for next to nothing cost wise. When we flew non-rev, we were also considered representatives of the company, which is why the dress code rules were around in the first place. So when I heard this story about the teen girls being denied boarding on a United flight for wearing leggings and changing into dresses in order to fly, it brought me back to those days when I would have to diplomatically explain to someone screaming epithets at me that no, you can't travel wearing a bathing suit or Daisy Duke shorts on a flight while traveling on a buddy pass,. The flight was leaving on time from this gate, and you needed to change clothes ASAP if you wanted to fly on that pass and on that plane out of IAH today to your final destination. I also had to explain to peeps from time to time that you couldn't fly on a pass barefoot, in flip flops, ripped jeans, tube tops or any attire that exposed your undergarments or revealed too much flesh. So I had to shake my head and chuckle at all these folks who don't have an airline background commenting on what happened at that United gate in Denver. They basically took half the story and did some loud and wrong running at the mouth facts free commentary about it. Maybe at the time those policies were crafted for the merged Continental/United carrier, leggings weren't considered professional attire. Fashion has evolved to where leggings have become a fashion forward item. I also see this as a textbook case of someone getting half the story and stirring up misplaced outrage without having all of the facts. United had every right to enforce their non-rev pass rules. 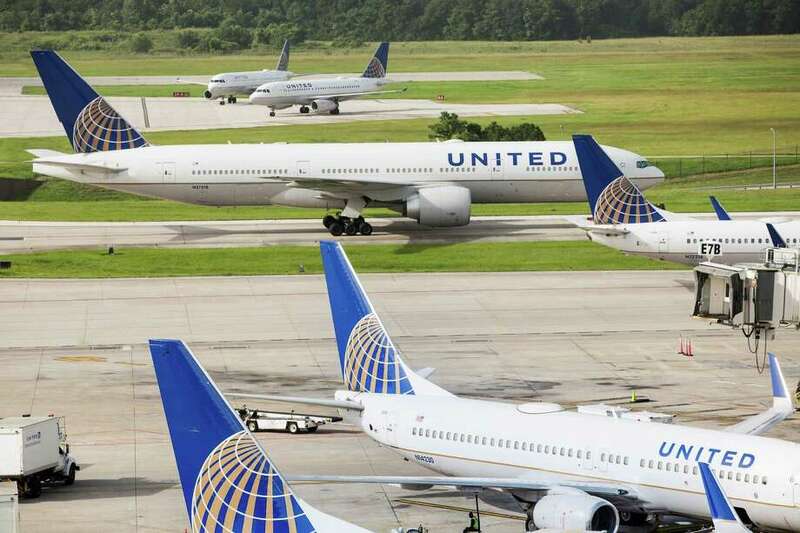 It is part of a gate agent's job to enforce those rules when they are violated whether the person violating them is a veteran UA employee or a teen traveling on a buddy pass. How it's done depends on the circumstances. But it still doesn't change the salient fact that if you're riding on a airline pass, whether you have an airline employee's badge or are traveling on that employee's passes, for that moment you are considered a representative of that carrier, and you still have to follow that airline's pass rules. 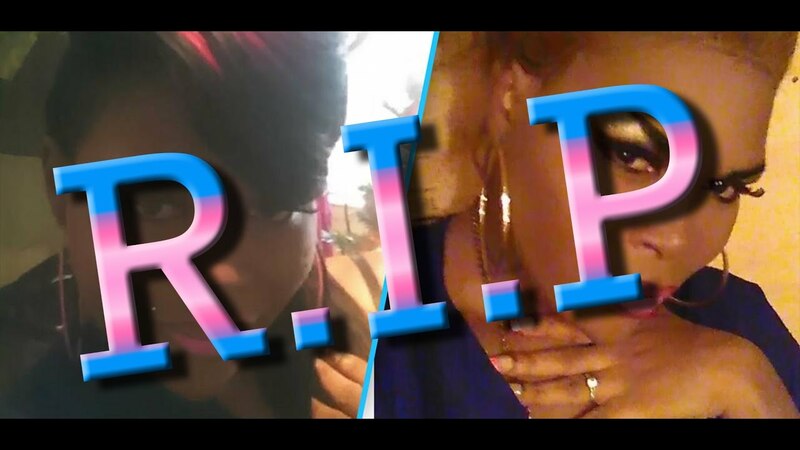 Black Transwomen, Inc is once again dismayed and saddened to note the death of another of one of our trans sisters in 38 year old Alphonza Watson of Baltimore, MD. She is the eighth trans woman., and the seventh Black transwoman to die in 2017. If you have information that will bring her killers to justice, you are urged to call the Baltimore Police Department at 410-396-2100, text a tip at 443-902-4824 or call Metro Crime Stoppers at 866-7LOCKUP (866-756 -2587). As many of you TransGriot readers are aware of, I'm in Orlando for the 8th annual LGBT Media Journalists Convening. We had a mixer last night, and now we are knee deep into our first day of sessions. But since it's Friday, and I have y'all spoiled, it's time for our weekly post in which I call out our fools, that are everywhere. Honorable mention number two is Neil Gorsuch for trying to cover up his far right conservative judicial rulings during his confirmation hearings with a fake aw shucks demeanor. Naw homes, we know you're a younger version of Scalia and unfit for the SCOTUS. Honorable mention number four is Steven Hotze. This long time Houston area gaybaiter just put out a video recently urging Texas lawmakers to support SB 6. Really fool? Don't you have a medical practice in Katy to run? Naw you idiots, what you're doing to trans folks is a hate crime. This week's Shut Up Fool winner is my former governor Rick Perry, who seems to be more concerned with a student government election on the Texas A&M campus than his job as Secretary of Energy. Secretary Goodhair is mad that the students at his alma mate elected an openly gay SGA president. Gig 'em! And dude, you have more important things to do than reading The Battalion and paying attention to A&M campus politics. And oh yeah, Rick Perry, shut up fool! As much of the country is aware of, we have now had eight trans women murdered due to anti-trans violence. We know that seven of the eight were Black, and one was native American. We also know all of them were under age 40. But we have some people in Trans World who wish to count a trans man who died as a result of a police incident as a murder when it wasn't. We also have people that wish to include folks who have committed suicides. No to both of those, and here's why. First of all, the trans man in question, Sean Hake wasn't murdered. It was a police domestic disturbance situation that ended with a weapon being discharged and Hake dying as a result of it. It wasn't a murder, and it's disrespectful to the memory of the eight women who have had their lives taken from us in 2017 to call it that. Not all suicides involving trans people a result of anti-trans violence. The reasons for a person committing suicide are as varied as the person committing it and them leaving a note behind explaining why they did so. .
As someone who has been tracking trans murders for over a decade, accuracy in how we talk about these cases matters. 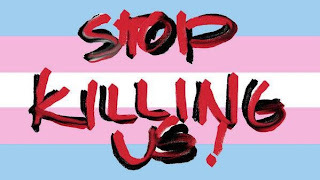 Now that we're finally getting some media attention concerning the issues of anti-trans violence, we cannot afford to be perceived as fudging or inflating the numbers with cases that clearly aren't murders.. Accuracy matters when we're telling the story about our trans siblings murders. It's even more important to be accurate about it because the victims are predominately people of color, and we're dealing with a media that is predominately made up of cisgender white people . .
Had an amazing morning at IAH wandering Terminals C and E before I boarded my United flight to Orlando. It was nice seeing some of my old co workers, and I see some more when I return on Sunday. I've arrived in Orlando for what is basically a business trip. I've been to the Orlando airport before to catch connecting flights, but this is the first time I've visited the city. I've always wanted to visit Disney World, and when I was working at CAL is was something on my travel bucket list, ,but never got the chance to do so while I was an airline employee and had the ability to fly there. I'm getting ready for the first event of this year's 8th Annual LGBT Media Journalists Convening, which is an icebreaker reception at Mango's Tropical Cafe. I alway enjoy getting to see and spend quality time with my TBLGQ media colleagues from across the nation. But this year's edition of LGBTMedia17 is happening at a time in which we have a so-called POTUS who seems to think it is okay to attack the media. This convening is needed and even more necessary at a time when journalism is under attack. For those of us in Trans World who are in attedace, we're here at a time when not only our humanity and human rights are under assault, we had our 8th trans woman of 2017 murdered in Baltimore a mere 24 hours ago. It's going to be an interesting few days as we get our learn on about various issues that impact the TBLGQ community, network and get to see some of Orlando beyond the hotel. 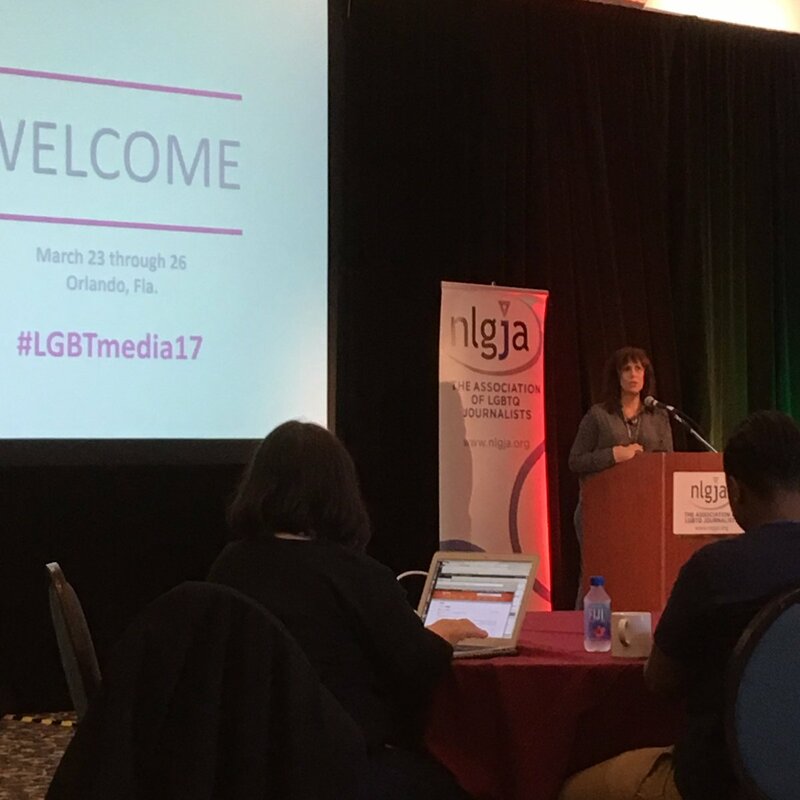 You can check out the action at the #LGBTMedia17 hashtag, our Facebook pages, and our various blogs and media stories. And so ready to get my media learn on. It's always an emotional trip for me every time I fly out of IAH. I spent 14 years of my life there working in the airline biz and have some fond memories of it and many of the people I worked with. Probably going to be even more emotional because I'm getting close to the April 4 anniversary day I clocked in for work as me for the first time. It would have also been my 30th anniversary year this year. I transitioned in the middle of Terminal C, and I still have friends there who haven't retired yet who started at CAL-UA when I did and I run into when I transit it from the ticket counters to the gates to the shoe shine guys. That means from the moment I arrive in Terminal C, I'll be running into former coworkers from the time I arrive at IAH until the time I return. And if it's a Houston based flight crew on either leg to MCO and back, that means I'll also possibly be running into flight attendants or pilots I know either on the plane or in the halls as I'm heading to my departure gate. It's also a good thing that people still think highly of you, even though I haven't worked a flight in that building since February 2001. While that a good thing, the bad news is that IAH is on the opposite side of town from where I currently live. We have now lost eight trans women in 2017 to anti- trans violence. Seven of them have been African American trans women. The latest murder happened in Baltimore, MD yesterday morning, and the person we will be saying her name is 38 year old Alphonza Watson. Watson grew up in Washington DC, but moved to Baltimore 10-15 years ago. She was found at 4:15 AM by police officers suffering from a gunshot wound to the stomach in the 2400 block of Guilford Ave ion the north side of Baltimore. She was taken to Johns Hopkins Hospital where she died from her wounds several hours later. Baltimore Police media relations chief TJ Smith stated that witnesses reported an argument between Watson and two men took place before the gunshots happened. Those witnesses reported that immediately after the gunshots two men were spotted running and getting into a dark colored vehicle before speeding away from the scene. Baltimore has been a particular deadly city for trans women. Since 2005 there have been 14 murders involving trans women, with Crystal Edmonds being the last person killed. Edmonds case is still open, but the others according to Baltimore PD have been closed. Rest in power and peace, sis. The community will not rest until the people who did this are caught and justice is served. Why Is A Hate Group Meddling In An Illinois School Board Race? Normally school board races can be low key and non controversial in nature unless something happens during the campaign or a controversial candidate is involved. The District, the Department of Education and the Department of Justice entered into a settlement agreement, then were sued by a group of transphobic parents and students backed by the right wing anti-trans group Alliance Defending Freedom, an SPLC-certified hate group..
Fast forward to the looming election. Incumbent District 211 board members Anna Klimkowicz and Robert LeFevre voted for the settlement that was worked out with the DOE and DOJ. D211 board candidate Edward Yung is a former member seeking to rejoin it that has expressed his support for transgender students. They are being challenged by a trans hate slate of candidates calling themselves the 'Parents For Privacy' that are backed by the Alliance Defending Freedom, and they are dumping lots of cash and lies in this race in order to get majority control of the D211 board and rescind the settlement. Klimkowicz , LeFevre and Yung have been endorsed by the Daily Herald, one of the area newspapers , Equality Illinois PAC , and a group of parents called Progress for D15 and D211'. Trans United Fund, sensing the importance of this upcoming election, has not only endorsed the pro-trans incumbents, but has already spent over 80 hours organizing with the moms, who have limited resources compared to the professional hate group . Those parents are concerned about the ADF meddling in their school board race, but don't quite have the funds they need to combat the money flowing in the Parents for Privacy camp. The rights of trans students are on the ballot in this April 4 school board race, and if you live in the area and support trans human rights, hope you're registered to vote, will participate in this election and prove that you support trans students by voting for Klimkowicz, LeFevre and Yung to sit on that D211 board. In addition to some blogger y'all know making a little speech, engaging with our elected officials and their staffers under the Pink Dome yesterday, and talking to the various people in different organizations, one of the cool things about a lobby day is also having the opportunity to have those one on one conversations with attendees and the general public. There are also those unexpected moments that happen that tug at your heart. I have said and been cognizant of ever since I started taking these lobby day trips to Austin in 1999 that it wasn't about me, it was about the next generation of kids who were behind me and making it better for them. In this one snapshot taken in the rotunda of our Texas state capitol building, there are three generations of Black trans women here. I made my first lobby day trip before all of them were born, but we're here together on this March 20, 2017 day repping our community. Every time I look at that picture, it not only makes me cry happy tears, but also puts a smile on my face. To them, I am a respected trans elder who not only is passing down their history to them, I'm also role modeling what it will be possibly like to be a fab Black trans women when they hit my age. I get to see these amazing Black trans women in their teens, twenties and thirties, and it reminds me of why I have been fighting since 1998 for visible Black trans representation in our movement, in the media and other spaces. It matters to Texas Black trans kids like Zuri and their parents. It matters to Mia and Jessica to see their fourth generation Texas trans elder confidently speaking to over 1000 people with cameras trained on her firing up a diverse crowd before they went to their various meeting with state legislators under the Pink Dome. It also was heartening to know that these young women also shared my concerns about the media images of Black trans women and were determined to role model being quality Black women who just happen to be transgender. It mattered to be called Aunt Monica by Zuri. While it brought on a momentary twinge of sadness with the thought crossing my mind that I don't have biological kids of my on and at this stage of my life, it's probably not gonna happen for me, the trans kids are basically my kids as well. But Zuri's presence also reminded me that this Texas trans human rights fight is about ensuring that she has a Texas and a country she can grow up in that will allow her to become the amazing Black woman she is well on her way to becoming. Would I love to see more Black trans representation when we have these lobby days in the 2019 session? Absolutely. That's one of the goals we need to make happen, and it become even more important in light of the fact some of the members of the Texas House and Senate share our ethnic heritage and history as Black Texans. There are some arguments I can make while lobbying in a Black legislator's office that frankly, a white trans person can't. It's one of the many reasons why we need to start being hired and paid as lobbyists or to do work in equality orgs that profess to work for the entire community but are still overwhelmingly white in their employment and staffing rolls. It's either do so or don't get mad and whine 'Why are you separating from us?" when we form our own organizations to do the work you refuse to do or hire us for. That's why BTWI, BTMI and Black Trans Advocacy exist in the Lone Star State right now. And speaking of that sustained Texas Black trans representation, much of the heavy lifting and elbow grease required to make it happen also is on us Black trans Texans. If you want orgs that rep you, you have to support them not only with your sweat equity but with your dollars so they can do the work you say you want and need to have happen. Do I hope to see in my lifetime Black trans women standing in the Texas House or Senate as elected representatives, judges or accomplishing whatever their heart desires and their skills take them?. Do I hope to one day see an end to cadres of Black ministers selling out our community and preaching anti-trans hate from their pulpits as white fundamentalists and conservative Republicans smile? Do I hope to have my Black community say in one loud voice that Black Trans Lives matter and I see an end to the obscene levels of anti-trans violence aimed at us? Miss International Queen 2017 Is..
Did You Spring Forward Yet? I Repeat. NAACP, Where You At? Do Our Black Trans Lives Matter?